Love in March. 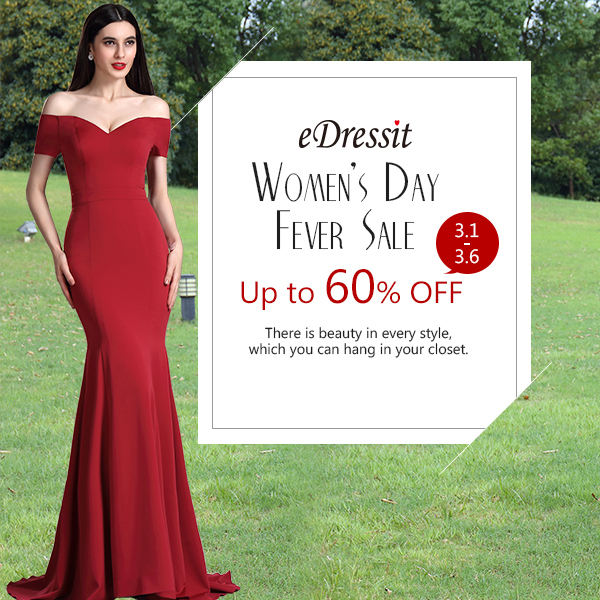 Catch up with eDressit special offers to your wedding and party. 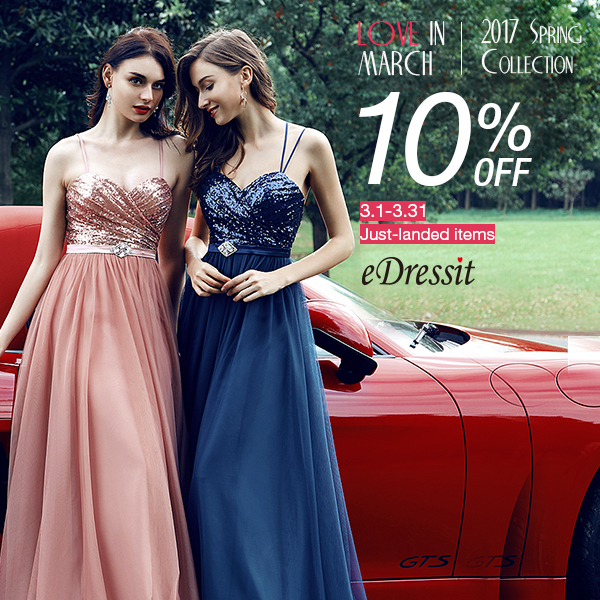 Loads of spring wedding sale dresses are provided to you, including evening dresses, wedding dresses, bridesmaid dresses, and mother of the bride dresses. 1. From 1st Mar. 04:00 to 31st Mar.24:00(Berlin Time),eDressit 2017spring blockbusters hit the way,you can enjoy 10%OFF on our new styles.